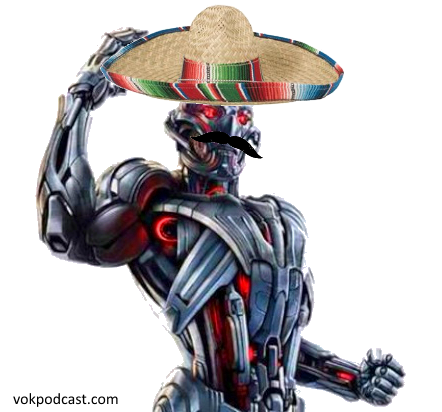 In this Cinco De Mayo special, the crew split themselves up into Mexican and French side to bring both a Spoiler Free and Spoiler Filled review of the new Avenger Age of Ultron. This entry was posted in Comics, Movies, Podcast, Science Fiction and tagged amberrocks, Amin, Beric175, easttexasdirewolf, fortytwo, Teddard, White Raven. Bookmark the permalink. Not to get too nerdy but I think if you can make Banner transform unwillingly then you are in for a lot of trouble, but if Banner transforms purposely then he can kind of aim the hulk at the real bad guys and as long as an individual is not dumb enough to antagonize him then you are probably ok. When he teamed up in first Avengers he knew the bad guys from the good guys but when he was alone with Thor for the first time he kinda remembered he owed him a punch.